What's included in the SEA LIFE Sleepover? What's the minimum number of people required for a Sleepover? What's the maximum number of people you can have for a Sleepover? What is the itinerary for a SEA LIFE Sleepover? When is the SEA LIFE Sleepover available? What do you bring for the SEA LIFE Sleepover?  How do I make a booking for a SEA LIFE Birmingham sleepover and can I make a provisional booking? How can I amend my SEA LIFE Sleepover booking? To make a provisional sleepover booking please click here. Once you have submitted the form, a member of our team will be in contact with you to discuss your requirements. Please note all bookings are only secured once a non-refundable deposit of £245 has been paid in full. The remaining balance after the deposit must be paid 30 days prior to the sleepover date otherwise your group runs the risk of losing their booking.